The Woman's Club of Beaumont, Texas | "Onward and Upward"
As the first decade of the 21st century has been completed, members of the Woman’s Club of Beaumont have a bounty of past benefits towards our community as a result of being actively involved in civic activities for the past one hundred and fifteen years. From our beginning in 1895, being the oldest local organization, we desire to continue working to better Beaumont and to pursue the goals of our club through our affiliation with the Texas Federation of Women’s Clubs and the international General Federation of Women’s Clubs. Our over 100-year-old historic clubhouse reopened in 2010 from the extensive renovations needed to repair severe damage from Hurricanes Rita (2005) and Ike (2008). This notable event makes for good timing to recommit efforts of the membership to exemplify the object of the club to promote, without charge, culture, education, art, literature and music resulting from the organized efforts of our work in federation. 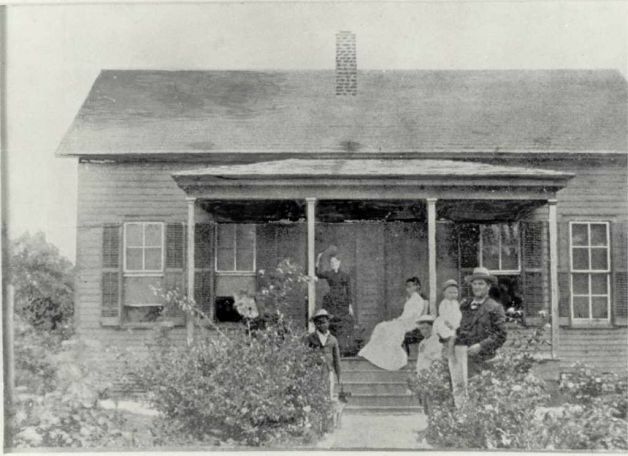 The inception of the Woman’s Club of Beaumont began at the residence of Mrs. Hal W. Greer on January 18, 1895. The club’s interest was founded on the promotion and development of the area libraries, cultural collections and literary needs. On April 24, 1889, the club changed its name to the Women’s Reading Club and became affiliated with the Texas Federation of Women’s Clubs. The Women’s Reading Club was chartered by the State of Texas in 1905. In 1909 a structure was erected at 575 Magnolia to house their organization. During World Wars I and II this structure was used by the American Red Cross and the Office of Civil Defense. The organization officially changed names again in 1927 to be The Woman’s Club of Beaumont Texas, and remains an active leader in community affairs.